Welcome to gethynellis.com and our final post of the year. 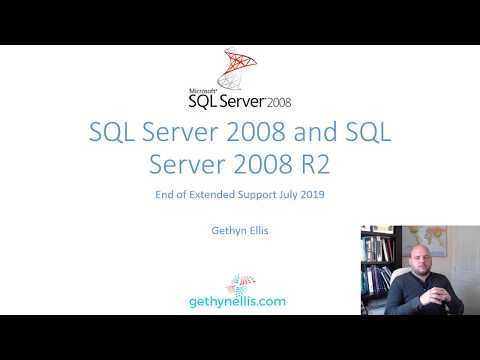 It’s the end of what has been interesting and successful year here gethynellis.com on both the SQL Server consulting and SQL Server training side of the business. included designing, architecting and deploying several SQL Server Availability Groups to ensure disaster recovery for our clients critical databases. As part of this we have also migrated SSIS packages and some reports on SSRS too up to SQL Server 2014.
certain customised components were experiencing and we have ended up not only fixing the performance issue but also helping with, building up and supporting a 4 node availability multi-subnet availability group, disaster recovery planning and general troubleshooting. Thrown into all this SQL Server 2017 has been released and we have been busy making sure our skills are up to date to work with that going forward. What does SQL Server 2018 have in store? We’ll also be offering the Microsoft official Curriculum of SQL Server courses on demand so you can take them at a date and time to suit yourself. We’ll also be providing you with some instructor time, giving you the ability to ask questions, get help with the labs, or get help with a specific problem you have back at work...Just as if you were in a real life classroom. You won't be left on your own, unless you want to be. Check out the training page in the new year for more details on this or Get in Touch if you want more details now. If we can help you with a SQL Server issues, or if you would like to discuss SQL Server training. Contact Us for a free consultation. 2018 is likely to be a very exciting year for me both personally and professionally. I’m very excited for it to begin. So all that leaves me to do is wish you and you’re a very Happy and prosperous New Year!